Congratulations to tour winner Anna B. and to host winner Lisa Haselton's Reviews and Interviews. 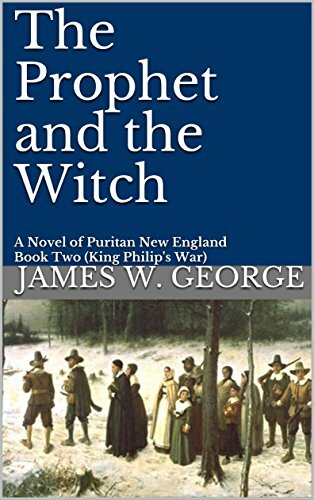 Goddess Fish Promotions is organizing a Virtual Book Tour for The Prophet and the Witch by James W. George, a Historical Fiction available now. The tour will run November 27 - December 8, and James W. George is available for guest post and interviews. A PDF copy of the book is available for review in conjunction with a guest post or interview. James W. George will be awarding a $20 Amazon/BN GC to a randomly drawn winner via rafflecopter during the tour, and a $10 Amazon/BN GC to a randomly drawn host. Locks, Hooks and Books can do guest post and review on December 7. I'd like to host with an interview on Nov 28 at Reviews and Interviews. thank you! I would love to host on 11/30 on Fabulous and Brunette!! I would prefer a guest post spot - thank you! !